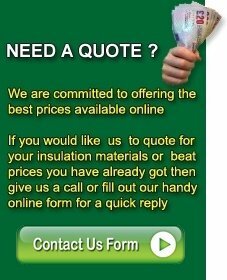 British Gypsum full range of Thistle plaster finishes and plaster undercoats are available from Insulation Warehouse, all at very competitve cheap trade prices. For more information on the range please see the items below, we are also suppliers of plasterboard and drywall fixings and finishes. Thistle Multi-Finish Plaster is a versatile finish coat plaster for use on all suction backgrounds, i.e. on plasterboard or backing plaster. It is also ideal for use in remedial work on small jobs like patching. Thistle multi finish comes in 25kg bags with an approx coverage of 10m2 per bag. Thistle Hardwall Plaster is an undercoat plaster which gives a high impact resistance and quicker drying surface and can be applied by hand or machine. This plaster is suitable for application to most masonry backgrounds, comes in 25kg bags with 3m2 coverage. Thistle Bonding Plaster is a backing plaster used where the background materials are smooth and low suction, i.e. concrete , dense blocks, plasterboard etc. a new formula has made it easier to spread and smoother. Thislte Bonding comes in 25kg bags with an approx coverage of 2.75m2 per bag. Thistle Board Finish Plaster is the perfect solution when requiring a final coat plaster on low suction backgrounds for instance plasterboard or the thistle dri-coat backing plaster. Thistle board finish comes in 25kg bags and has an approx. coverage of 10m2 per bag. Thistle Magnetic Plaster comes in 25kg bags, this is an innovative plaster that lets you do exciting and creative things with your walls. It gives properties to the wall that allow magnetics to stick on to, giving you all sorts of fun with a bit of artistic flare you can easily transform your room. A minimum of 3mm is required to be applied giving a bag an approximate coverage of 5.1m2. Thistle Dri-coat Plaster is a cement based plaster with waterproofing additives undercoat designed for the application after the successful installation of a damp proof course treatment the formula in this restrict the migration of salts from the previous problem area. This comes in 25kg bags with approx 3.25m2 coverage.